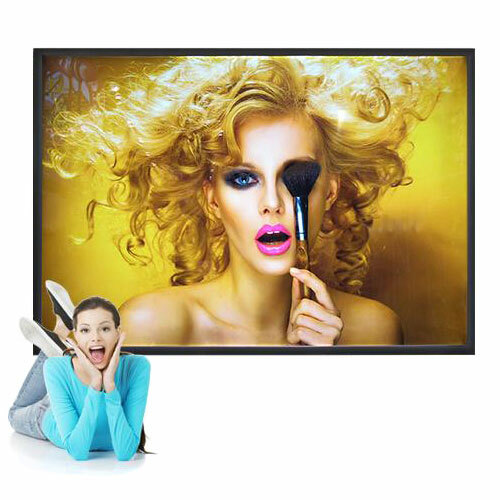 This super slim edge lit snap frame graphic display light box is designed for indoorapplications and features a spacious 46.5 " x 70.5 " viewingarea, tool free graphic change out, and an energy saving, lowmaintenance design. This LED Edge Lit light box comes with a stylishanodized aluminum frame and “Snap Open” technology tomake quick and frequent graphic changes a snap. This sign can bemounted in portrait or landscape orientations.